From the Greek word "kyanos" meaning blue kyanite gleams a vivid royal blue hue earning this gem comparisons to the finest Ceylon and Kashmir sapphire. While the name kyanite has been in circulation since 1789 this gem was traded in Europe as sapphire up until the 20th century. Many believe the Himalayan variety is one of the highest qualities of kyanite deposits ever discovered. 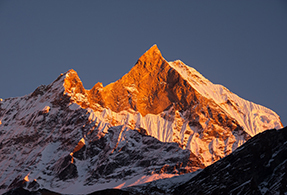 Found in 1995 in the Kali Gandaki region of Nepal this gem owns a remarkable radiance and intensity. Suitability is one main attribute that lures jewelers to adopt Himalayan kyanite in their designs since its deep blue flatters all skin types and complements a variety of settings including sterling silver and yellow- white- or rose-gold jewelry. Himalayan Kyanite is a unique polymorph that reveals an internal scope of hardness. It owns a flawless cleavage in one direction a desirable feature also found in diamond. Gems of worthy color and size are readily available. However exceptionally faceted stones larger than one or two carats are difficult to find because of the challenges in shaping them. • Himalayan kyanite is called the gem from the "Roof of the World" to pay homage to its high-altitude origin in Nepal's Himalayan region. • Unlike most crystals kyanite does not require regular "cleansing" to maintain its power. It will not accumulate or retain negative energy. • Crystal healers use this gem to promote tranquility helping to maintain calm and a serene aura. • Kyanite can sharpen communication skills and is helpful when addressing a group. It also boosts your power of concentration. • If the answer is on the tip of your tongue touch kyanite to the center of your brow to unblock your mind. It promotes new ideas and fosters good memory. In 1995 Himalayan kyanite was discovered in the Kali Gandaki region of Nepal. It is located on the Nepalese plateau in the kingdom of Mustang and is one of the highest points on earth. The mine in Kali Gandaki began commercial mining operations 1991. Shop LC supplies gem lovers with premium Himalayan kyanite gemstone jewelry. Ranks 4 to 7 on the Mohs hardness scale depending on axial direction. This variability in hardness makes it difficult to cut. 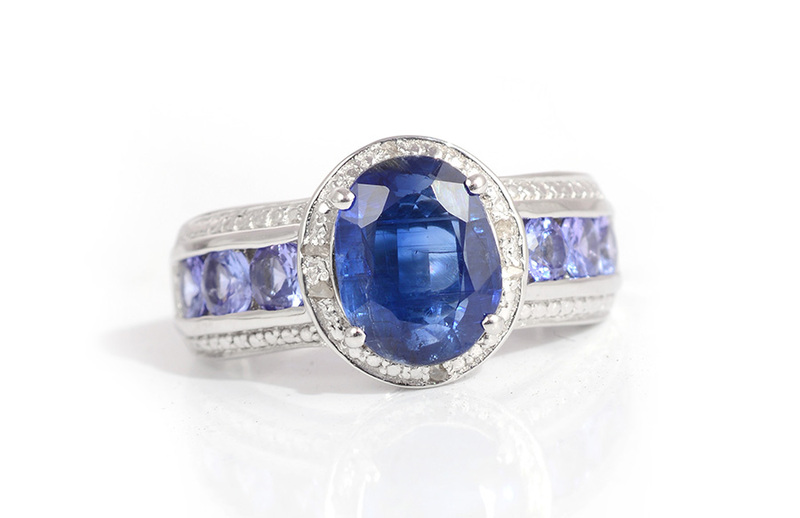 Color displays sapphire or rich cobalt blue with violet undertones. 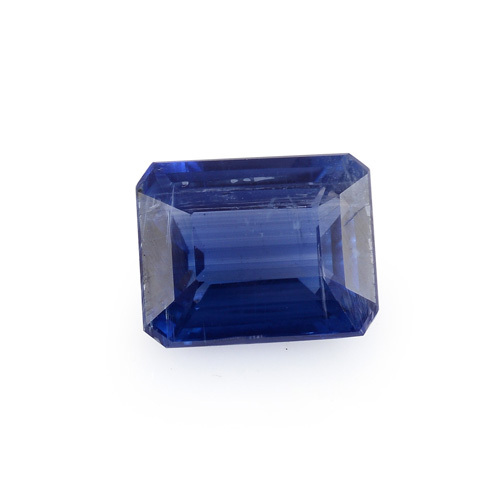 Kyanite is also available other varieties that display green or black. Sourced from the Himalayan Mountains of Nepal. Member of the andalusite-kanonaite family. Also known as cyprine cyanite distene disthene and rhaeticite. 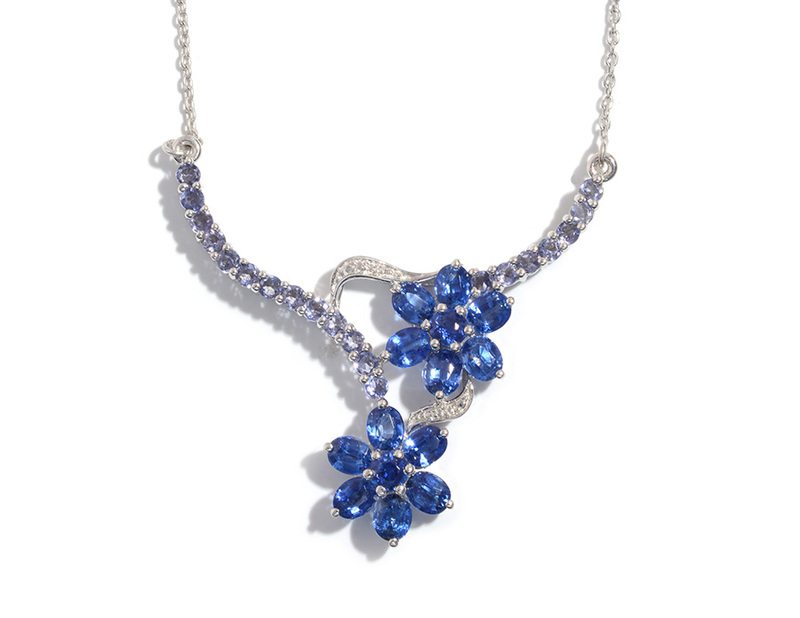 Sapphires are the birthstone for September. 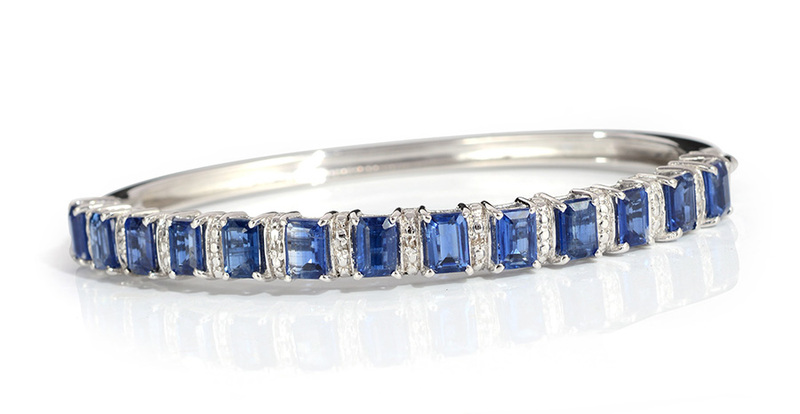 Kyanite is an affordable alternative stone. Associated with the zodiac signs of Aries Taurus Virgo and Libra.